At PracticeBridge Inc we give you one less thing to worry about. Hidden costs. Our pricing options are simple and transparent. And if you are a healthcare organization looking to contain overhead expenditure we are the best choice for you. We understand that different organizations have different needs. That is why we've created flexible pricing options, so there is something for everyone. No. 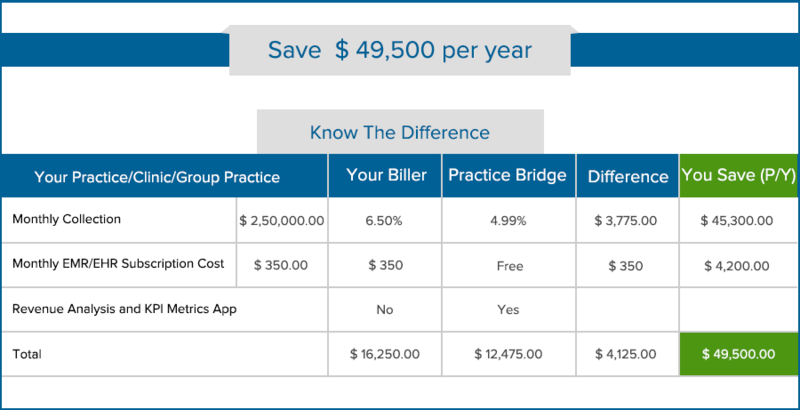 PracticeBridge Inc doesn't charge a start-up fee. No. Our prices and services are designed to meet every need and budget. What is your standard medical billing fee?  Our prices depend on several variables such as claim volume, number of providers, AR backlog and medical specialty. To get a clear pricing quote fill out our form and our billing manager will get back to you. Will I be billed separately for patient billing? No. We charge a fixed percentage of the revenue collected by us inclusive of patient billing. There are no separate price tags or fine-print. Do you charge for patient statements? Patient payment responsibilities have risen with high deductible payment plans. The increase in the number of patient statements mailed can add up to hundreds of dollars. Is there an extra charge? No. We generate and send out patient statements free of charge and bear the postal charges as well. Tell me about your free trial. To know is to believe. Get a 2 week free-trial without any strings attached. There are no contracts or hidden agendas. And, yes, we don't need your credit card details! Do we have to pay clearinghouse fee? No. PracticeBridge pays the clearinghouse fees that ranges up to 99$ per provider every month. Do we have to pay eligibility fee for electronic remittance advice? No. PracticeBridge affords pays eligibility fees on behalf of you, for electronic remittance advice. Do you charge us any implementation fees?